Kaunas is the second-largest city in Lithuania and has historically been a leading centre of Lithuanian economic, academic, and cultural life. City is located at the confluence of the two largest Lithuanian rivers, the Nemunas and the Neris. It is believed, the town was founded in 1030, but it is first mentioned in written sources in 1361. In the 13th century, a stone wall was built as protection from constant raids by the Teutonic Knights. In 1362, the town was captured by the Teutonic Knights, who destroyed the Kaunas Castle. It was one of the largest and important military victories of the Teutonic Knights in the 14th century against Grand Duchy of Lithuania. In 1408 the town was granted Magdeburg Rights by the grand duke Vytautas. The power of the self-governing Kaunas was shared by three interrelated major institutions: the Mayor, the Magistrate and the so-called Benchers’ Court. 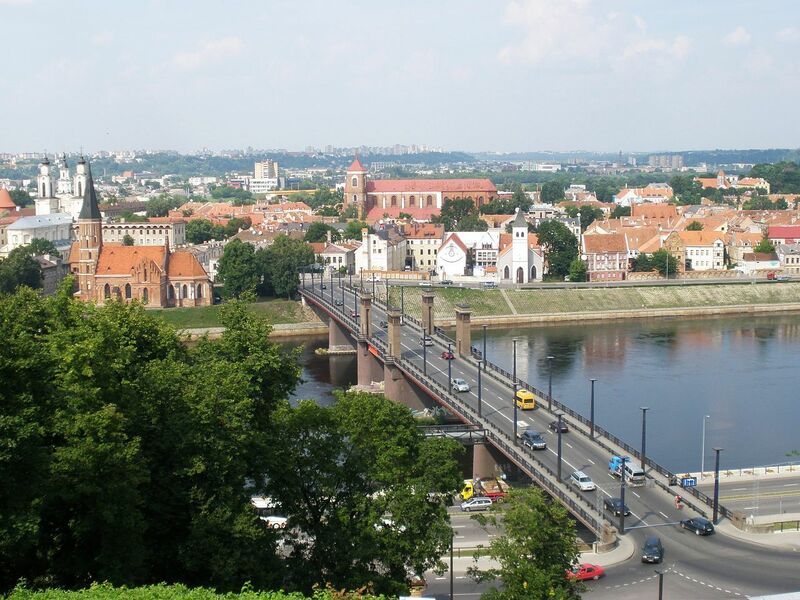 Kaunas then began to gain prominence, since it was at an intersection of trade routes and a river port. Later Kaunas joined the Hanseatic League, and Hansa merchant office Kontor was opened – the only one in the Grand Duchy of Lithuania. After the partition of the Polish–Lithuanian state, the city was taken over by the Russian Empire. To prevent possible easy access through the city and protect the western borders of Russia the Kovno Fortress was built, still visible throughout the town. Lithuania gain independence in 1918 but the capital Vilnius was forcibly annexed by Poland and Kaunas became the temporary capital of Lithuania in the inter-war period. After World War II Kaunas became the main industrial city of Lithuania – it produced about a quarter of Lithuania’s industrial output. 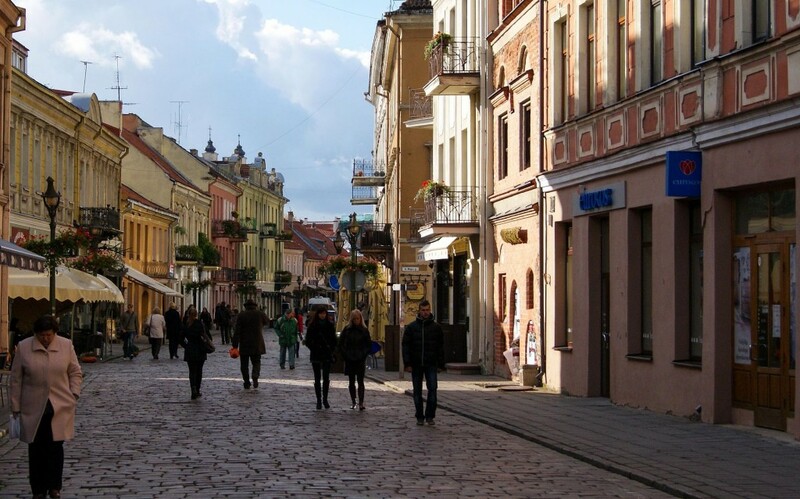 Now Kaunas is a large centre of industry, trade and services.